The menu and options can be found under the Locations tab. Click on the location's name which settings you wish to change and then select LINES. It allows you to triage your visitors. 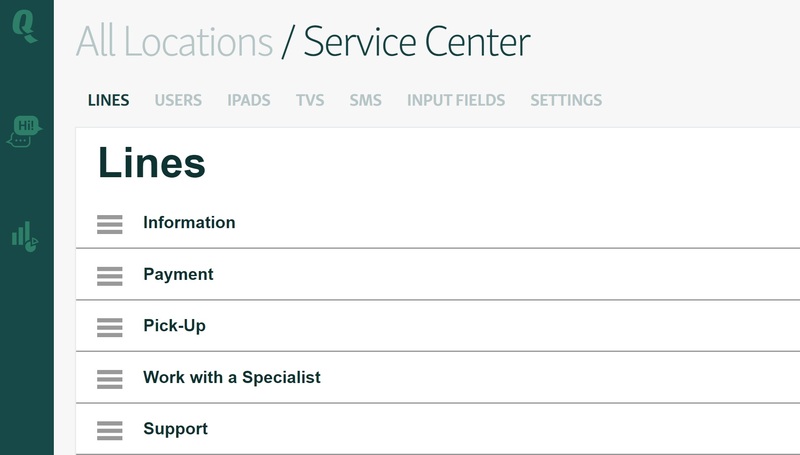 This can be useful to offer specific services and those visitors in a priority order. It makes easy to direct people to your experts. If you have a situation where only a few of your people are experts in their areas: this feature allows to set up separate lines for them. Differentiating services help you get better data. Qminder Service Intelligence will provide your graphs and statistics, based on the lines and services you configure. For example, you can add a line based on your current campaign to segment how much foot-traffic did that bring in. It's also pretty useful to see who is your top performing employee at that particular service.